Yesterday. I joined the Morbid Mob for a visit to the Nutshell Studies of Unexplained Death collection at the Office of the Chief Medical Examiner in Baltimore. The studies were created by Frances Glessner Lee during 1940’s and 50’s. 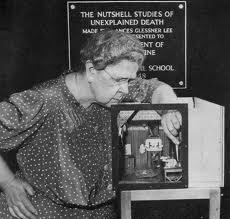 But I do not want to talk about the background of the model / dioramas as this is more than adequately covered elsewhere http://www.nlm.nih.gov/visibleproofs/galleries/biographies/lee.html, http://brucegoldfarb.com/the-nutshell-studies-of-unexplained-death). I want to discuss an experience that I had while visiting them. The Nutshell Studies of Unexplained Death are very interesting on a technical level in that they are scenes of recreated murders. They are not used to provide standardized and mindless solutions to murders but as a means of training the thought process of forensic investigators. As such they are tools as opposed to results. When the feeding frenzy ended (the passion to experience every aspect of the scenes), the room was almost empty with only a few of us looking at the models. When the room is full, all that you can do is to look at the model close up. You cannot see them from a distance. This makes sense from a technical study perspective. The models are full of detailed clues and close examination is necessary. For example, an envelope in a trash bin establishes the identity of the victim. 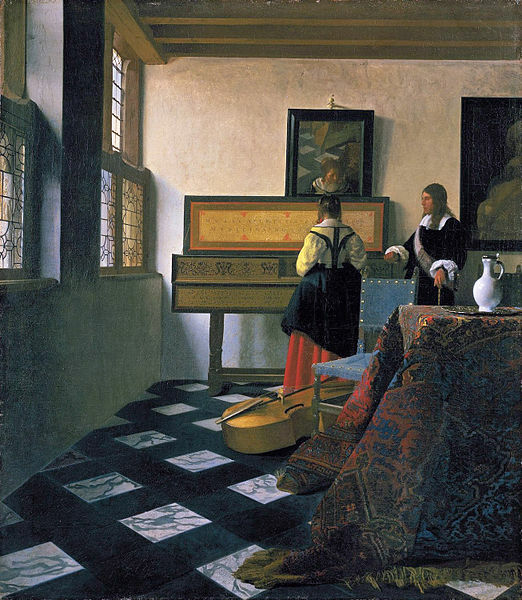 Standing back I looked across the room, and saw a ‘Vermeer’. 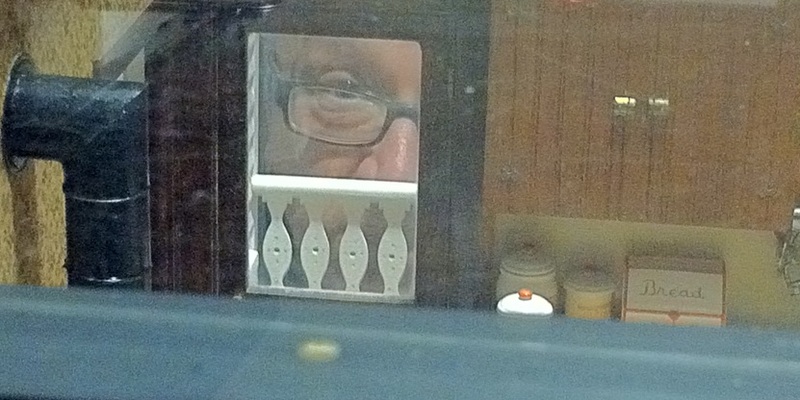 This was not even a thought when I was close up against the glass. Being away from the piece, it was now framed by the wall in which it was embedded. 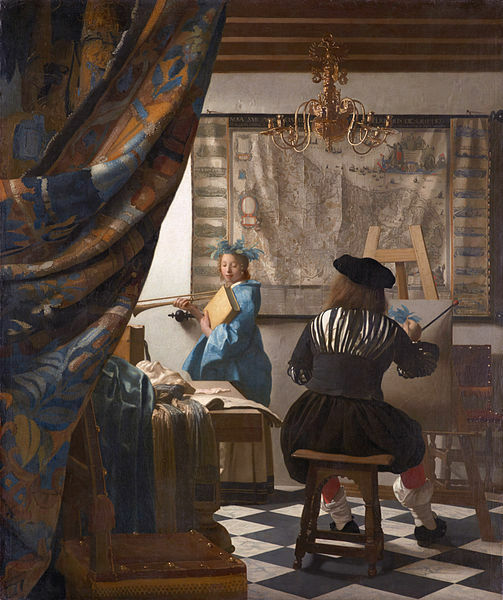 Vermeer had a passion for light. The works glow with light and color like no other artist. They tend to be small, and are often gems of light seen across a room. This model had the same glow. 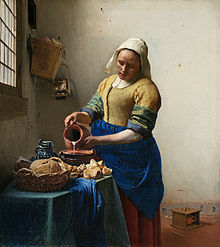 The light was also coming from the left of the image and placed at the back of the scene as in most Vermeer’s. 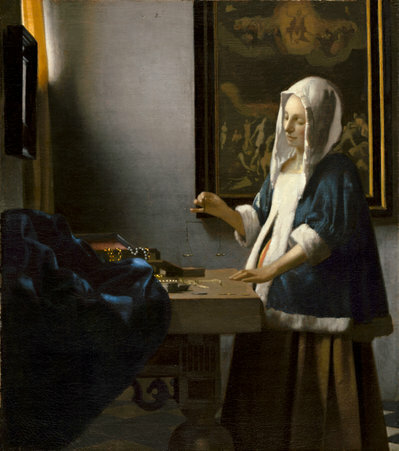 As I write this blog, I realize that the similarities between the Nutshell Studies and Vermeer is more than just the lighting. Both represent an instant in a narrative of which we are detached viewers, or uninvited guests. We will never fully understand what came before this moment, and the narrative will continue without us. So, what makes a work of art and what makes a model. Is it just the context? We all see the same things, but perceive them differently. If the Nutshell Studies were placed in an art gallery, they would be perceived as works of art. How we perceive is very much a result of our background, training and context. This is because we see at a very objective level, but perceive and comprehend very much at a subjective level. When solving problems, our brain operate in autopilot. We look and look and study and study the object. If we just keep our focus on the object, we will rarely solve the problem. It is only when we step away from the problem that out brain starts to run unattended and create unconscious associations between the details. This has been known for years in problem solving, and is now codified as a standard approach. So the technician studies all of the facts but cannot find an answer. They wake up in the middle of the night with the problem solved (or reassembled), in a form that they would never have imagined in their conscious mind. Artists also experience this process; It’s called the creative process. If an artist merely copies a landscape in detail, they will produce a dull rendering of the scene. It is when they step away that they get this insight. 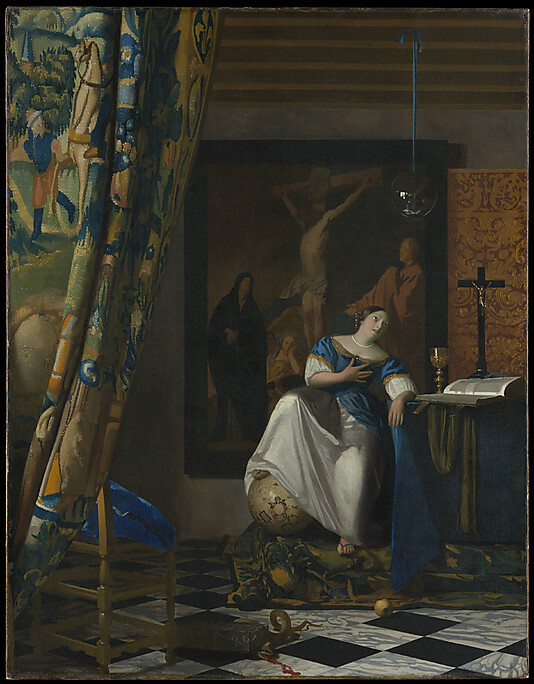 Common approaches to aid this process in art are to look at the painting in a mirror, or to turn the painting upside down. The brain then has to solve something that no longer is context ridden, and can run wild. Someone with a forensics background dreaming about the models, will subconsciously try to solve the crime. 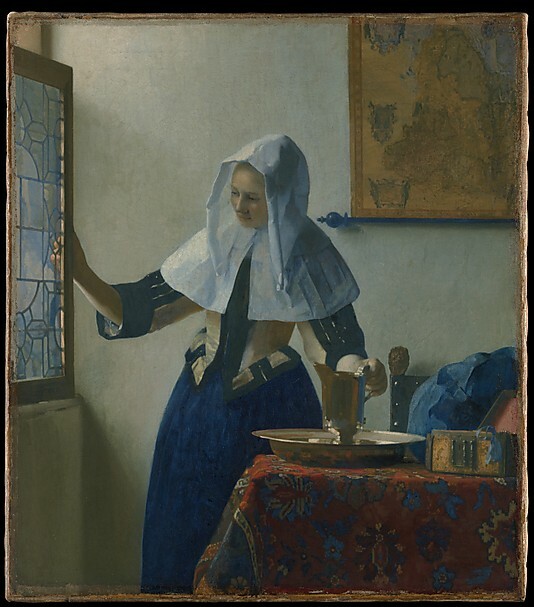 When I step back, I see a Vermeer. We all have biases, which just shows how different we are. How differently would you evaluate the Nutshell Studies if it depicted the death of a close relative? When something is not personally connected to us, we study first and then let our minds move to the unconscious. When something is deeply personal, we respond emotionally (subconsciously) first and then rationalize later. Interestingly, when my wife proof-read this article, she said that she was emotionally detached in all of the studies, except for one. It depicted a man dead beside a bed. He was wearing my pajamas.